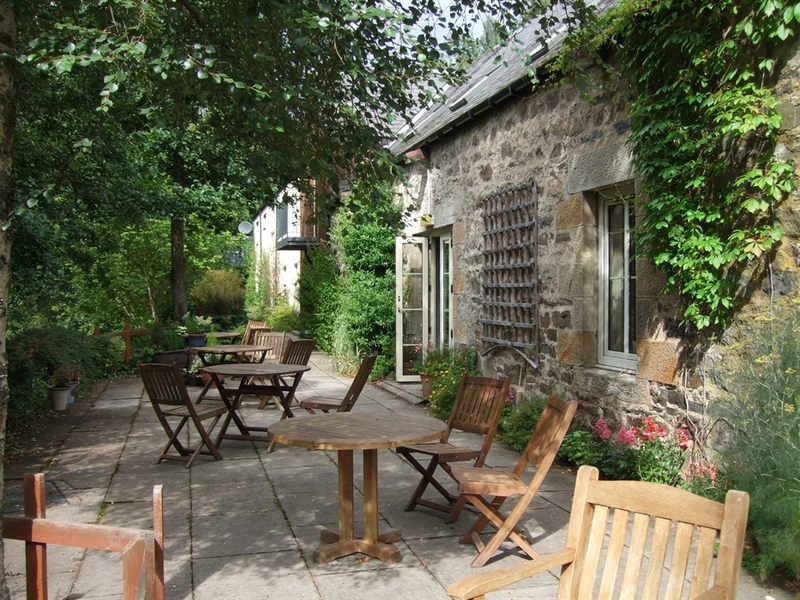 A place to relax and recharge the spirit and enjoy some of the freshest and finest award winning Highland cuisine. AA Three Red Rosettes for culinary excellence - the only restaurant in the Cairngorms National Park to achieve this award. 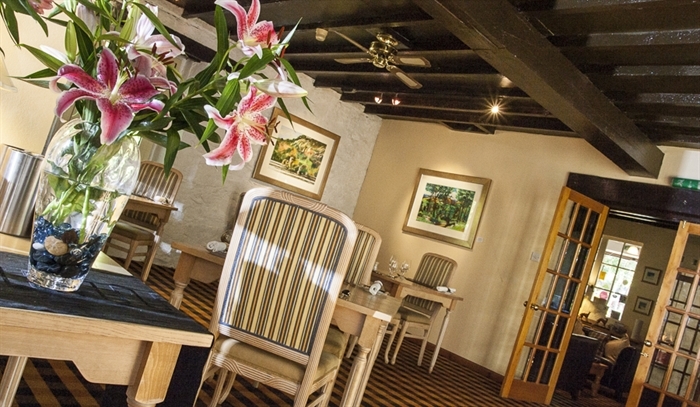 AA Inspectors'Choice Restaurant with Rooms 2019. Good Hotel Guide Cesar Award Scottish Hotel of the Year 2017. A Restaurant with Rooms with eight bedrooms. Awarded AA Three Red Rosettes for culinary excellence - the only restaurant in the Cairngorms National Park to achieve this accolade. 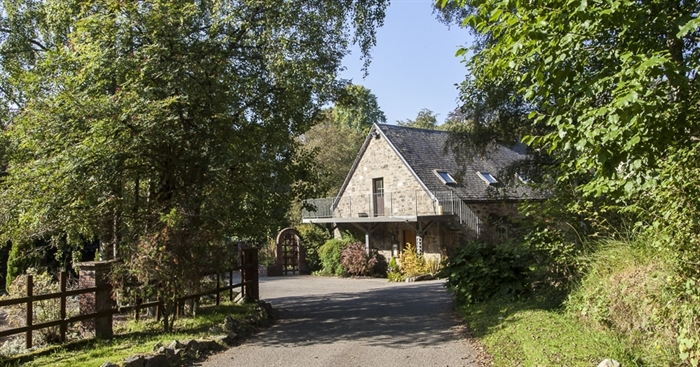 A former tweedmill sensitively restored and converted to an hotel some twenty years ago with some exposed stone walls and heavy beams but with a light and contemporary feel. Situated alongside the Gynack Burn in over 4 acres of woodland - red squirrels and roe deer are frequent visitors. A peaceful and relaxed atmosphere complemented by friendly and attentive service from the owners and staff. 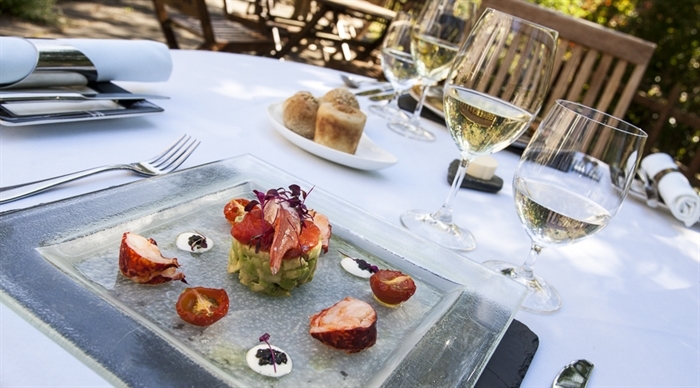 Our highly acclaimed restaurant provides the finest food using best quality ingredients, local sourced wherever possible. 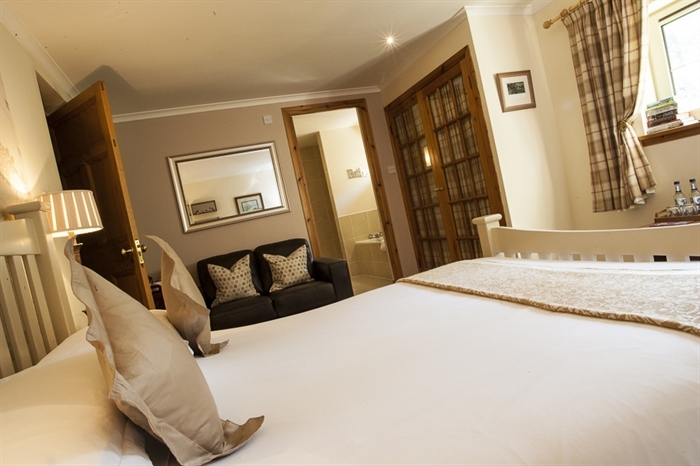 Comfortable well equipped bedrooms and a choice of lounges with a good supply of books and magazines. 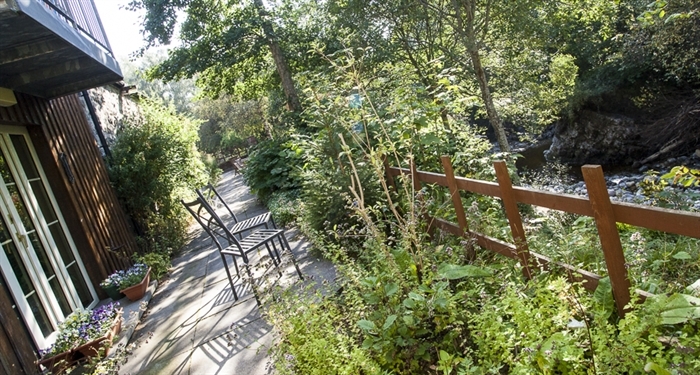 Enjoy a quiet drink on the delightful garden terrace. Good Hotel Guide Cesar Award Scottish Hotel of the Year 2017. Our restaurant is open for dinner every evening from 7 until around 8.30 p.m. We offer a 3 course menu with choices at £55 or a 6 course tasting menu -£65 with optional wine matching at £30. Also open for lunches and afternoon teas to enjoy in the restaurant or on the terrace - weather permitting !! Booking required. October 2016 The Daily Mail - The Good Hotel Guide "Best of British" Cesar Award name The Cross Scottish Hotel of the Year 2017. October 2016 - The Scotsman "great food, comfy quarters, lovely grounds", a perfect getaway-from-it-all destination". 30th April 2016 reviewed by The Courier - " fabulous food", "wine lovers can lose themselves in the award winning wine list of more than 150 wines from around the world. The Scotsman Lunch Review July 2013 - 'my intense strawberry souffle was a creation of Godlike genius', 'what a place this is - a little sliver of Heaven'. The Times Saturday November 22nd 2014 Travel - The Cross is included as one of '30 great British winter weekend destinations'. Five Star Magazine April 2015 " Relaxed, informal, delightful "
Press & Journal June 2015 " a delightful hidden Highland gem", "flavours so intense and rich "